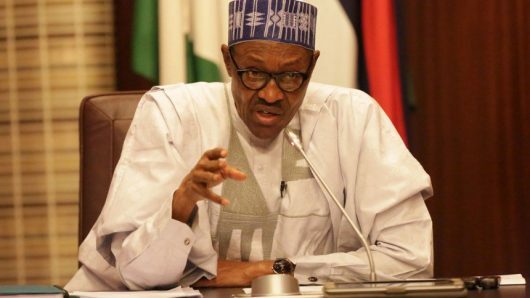 Buhari reminded the ICPC members and government officials present during the swearing-in of “the damage that unbridled corruption has inflicted on our development aspirations. Apart from deliberate and wanton looting of our national wealth and common patrimony, corruption has eroded our values and ethical foundation as a nation. Corruption has negatively affected our political, economic and social life. Those opposed to our fight against corruption berate us for our focus, determination and single mindedness. It is natural for the President to feel disappointed that corruption that he has placed his political life on the line to fight is still there, right under his nose. However, a statement of the fact need not be a lament. Political opponents are wont to see it as an admission of failure and will exploit it to their advantage in an election year. However, they are wrong. What the President means is that the war on corruption will be long and difficult. As he often says, “corruption will always fight back”. Defeating it requires focus and single-mindedness. It is important the President does not give in to despair, but let him stay the course. As he himself has admitted, “the fight against corruption is very crucial in our national development. This is why I have often said if we do not kill corruption, corruption will kill Nigeria.” Then kill corruption we must.